Now that price is testing the first major resistance area, it's time to reassess the trade. 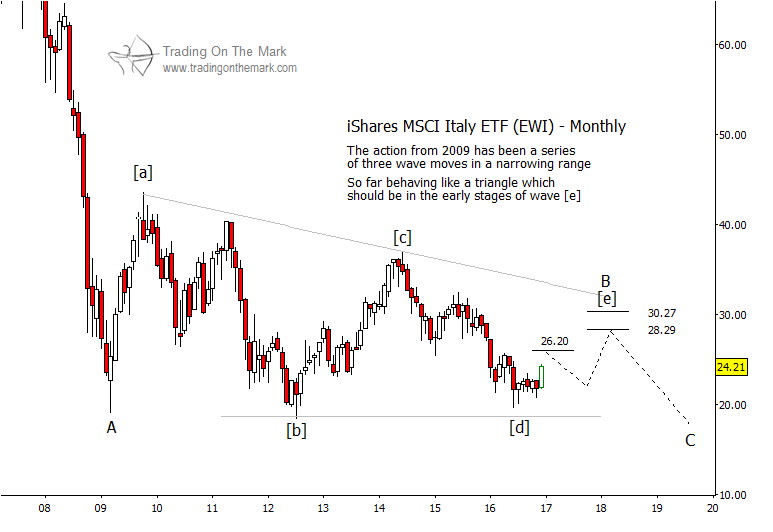 It was mid-July when we suggested a countertrend trade in the iShares MSCI Italy ETF (symbol EWI). 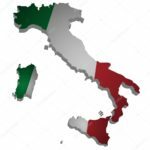 Although the economic news out of Italy at that time was mostly bad, we thought the Elliott wave chart pattern offered reasons to expect at least a modest bounce from support. We then revisited EWI in November.